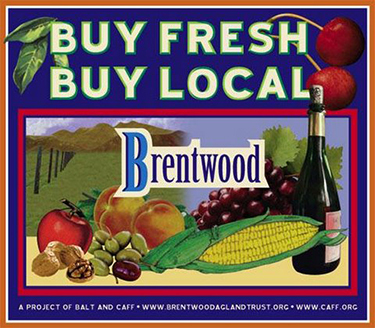 We have two locations, both in Brentwood. Visit the Our Produce page for maps to locate us. 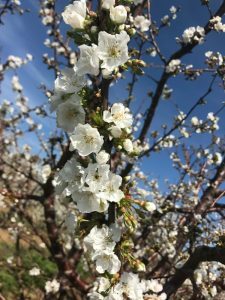 In general, our orchards are open for only 4-6 weeks a year, starting in May of each year. We will provide a bucket for picking, and the bag-liner inside (provided) is what you’ll use to take home your fruit. Mike’s U-Pick is a proud member of ‘Harvest Time in Brentwood”. 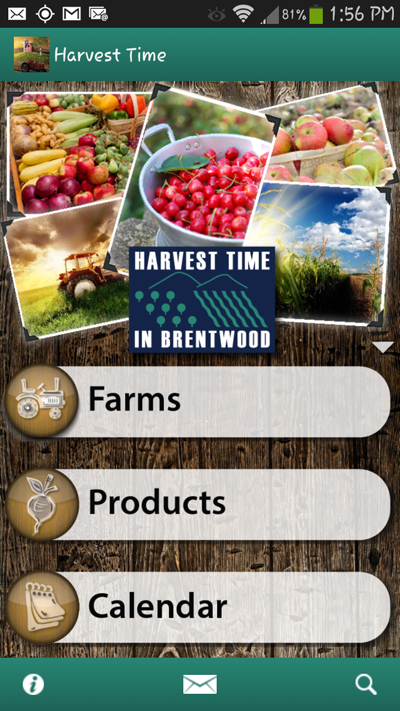 Harvest Time has a free phone app you can download to help you navigate Brentwood’s wonderful produce stands. You can find it at the Google Android Play Store, or Apple iTunes store. The app looks like this image to the right. Bring bottled water (small bottles, not jugs) to drink – it can be quite warm in Brentwood; stay hydrated! 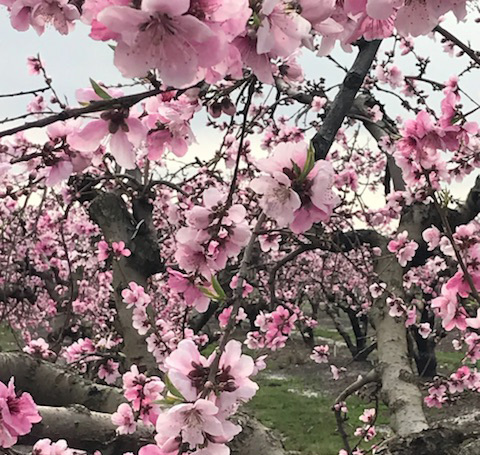 *We highly recommend checking for updates just before coming out to the orchard. Occasionally we must close due to weather, or muddy fields after a late watering day, or having to wait for more of the fruit to ripen.